The New York Jets have penned a sponsorship deal with online gambling operator 888 and football purists are not happy about it, news outlet the New York Post reported on Monday. The deal is set to be officially announced later this week, but 888 banners have already appeared outside MetLife Stadium in East Rutherford, New Jersey, the home stadium of the New York Jets. Following the mid-May ruling of the US Supreme Court that struck down a federal ban on sports betting, the NFL reversed ahead of the new season a long-standing ban on casino advertising, allowing teams to partner with casino operators and advertise those in exchange for financial contributions. However, the NFL rules still prohibit sports betting operations from being advertised by football teams. Aside from casino games, 888 also offers poker and sports betting services. Critics of the partnership between the Jets and the online gambling operator have argued that the fact that it offers wagering products crosses the line and violates NFL’s gambling advertising rules. As mentioned earlier, the tie-up between the Jets and 888 has already manifested itself in the form of several orange banners displaying the 888.com logo outside MetLife Stadium. Sources familiar with the deal have told the New York Post that the banners do not violate league advertising rules as they do not specifically refer to 888sport, the gambling operator’s online sports betting operation. However, critics have pointed out that the banners were “dangerously close to flouting the rules.” The deal is expected to be announced later this week, which means that more details about its scope are to emerge. The four major sports leagues – MLB, NBA, NFL, and NHL – were long opposed to sports gambling, arguing that the activity threatened the integrity of sports. However, the US Supreme Court ruled this past May against the leagues and annulled the long-standing federal sports betting ban. Since the ruling, league officials have softened their stance on the wagering issue and have been seeking a share of the proceeds generated from sports betting in the form of an integrity fee and advertising revenue, among other things. The NFL decided to relax its advertising rules ahead of the new season, allowing teams to take advertising money from casinos. The Dallas Cowboys became the first team to align itself with a casino operator in early September, thus making history. It joined forces with Oklahoma-based WinStar World Casino. The post New York Jets Partner Online Gambling Operator 888, Face Backlash from Football Purists appeared first on Casino News Daily. Local player Dustin Fox defended his WSOP Circuit Harveys Lake Tahoe No-Limit Hold’em Six-Max title last night to collect his second gold ring from the series and $18,878. Fox took down the exact same event at the exact same host casino this time last year. The player said in his post-victory interview that last year he received a text message from his mother saying “You got it.” and he won the event. The exact same thing happened this year. He got the same message and he won the same event shortly after. The six-max tournament drew a total of 208 entries this year, a significant improvement from last year’s field of 187 contenders. The prize pool of $68,640 was distributed among the top 21 finishers. Min-cashes were worth $629. Fox did not enjoy a good start to the $400 buy-in tournament, but he remained calm and consistent to eventually lock up the title. The player had to fire six bullets into the event. He told WSOP Circuit staff that despite getting eliminated five times throughout the tournament, he did not feel discouraged and kept playing for the title. He further pointed out that he felt good all the time. His positivism certainly helped him capture the title and the gold ring. Fox was holding the largest chip stack when the unofficial final table of seven was reached. The player had 723,000 in chips at that point in play. He was followed by Dave Potter with 676,000 and James Duke with 609,000. While the initial stages of the tournament were a bit challenging for the eventual champion, he had a terrific final table run. The player bulldozed his way to the end of the tournament, applying aggression where it was needed and winning hand after hand until he was the last man standing. Fox faced James Duke for a heads-up finale. His approach to the game and his consistency won him his second gold ring. Duke, walking out as the runner-up finisher, collected $11,661 in consolation prize money. Fox’s victory from last night secured him with his second cash from the series. Last week, the player finished 46th in the $400 buy-in multiflight re-entry tournament for $742. And as mentioned earlier, Fox claimed his second gold ring from the WSOP Circuit. This time last year, the player emerged victorious in the same six-handed tournament at the same host casino for his debut piece from the popular poker series. Fox told WSOP Circuit staff that we will not see him at the tables of Harveys Lake Tahoe over the next few days as he will be attending a golf tournament. However, the player plans to return to take part in the Main Event, which is set to kick off November 2 and to run through November 5. Fox said that he is determined to win that one, too. The post Dustin Fox Locks Up Back-to-Back Win in WSOP Circuit Harveys Lake Tahoe Six-Max appeared first on Casino News Daily. Vince Muscat, known as il-Koħħu, has been cleared of charges in a casino fraud case going back to 2007, local news outlet Malta Today reports. Muscat is one of the three men charged with the assassination of Maltese investigative journalist and anti-corruption activist Daphne Caruana Galizia. Muscat has been accused of attempting to defraud Casino di Venezia of the total amount of €2,329.37. According to court records, he had acted together with Mario Spiteri, had used the registration details of another person, and had bribed a croupier at the casino. The incident occurred in 2007. However, presiding Magistrate Donatella Frendo Dimech said issuing her decision that the case was only passed on to her in early 2016. Following a police investigation, it has been discovered that Casino di Venezia croupier Brian Dingli had been bribed by the suspects to help them defraud the casino. The sophisticated scheme allegedly involved the croupier arranging playing cards in a certain sequence and communicating important information to the suspects who had played online. The person whose details had been used for opening an account with the gaming operation was found to have been Joseph Buttigieg from Ghajnsielem, Gozo. The croupier was found guilty after a casino CCTV footage showed that he had not shuffled cards at the time the incident had taken place, had hidden his hands under the table, and had used his mobile phone after taking a break to allegedly communicate with Muscat and his accomplice. Buttigieg admitted to the police that he had been involved in the incident and that he had provided Muscat and Spiteri with his log in details and password. He also admitted to being present when the two suspects had played and had seen them read a message on their mobile phone that had allegedly been sent by the croupier. Buttigieg was sentenced in May 2008, Malta Today wrote, but was discharged conditionally. He then flew to Australia. Buttigieg was approached by Maltese authorities to provide a witness statement but he refused to do so, saying that he feared retribution against him or his family in Malta. Muscat and his accomplice were first charged in June 2008 and the first hearing took place in September 2008. As mentioned earlier, it took eight years for the case to reach Magistrate Dimech’s desk. Muscat and Spiteri were eventually found not guilty due to the lack of evidence of any wrongdoing and after Buttigieg’s continued refusal to give such evidence. Muscat was one of three individuals arraigned on charges of the murder of Maltese journalist Daphne Caruana Galizia. The investigative reporter died on October 16, 2017 in a car bomb attack not far from her home. Muscat was charged alongside Alfred Degiogio and George Degiorgio. All three are known criminals, previously linked to a 2010 HSBC heist. 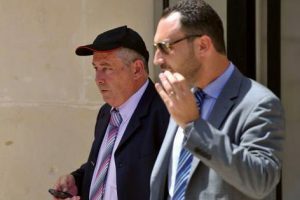 The post Daphne Caruana Galizia Assassination Suspect Cleared of Casino Fraud Charges appeared first on Casino News Daily. The government of Andorra has extended the deadline for issuing its response to the appeals filed against the granting of a casino license to November 27. Andorra officials had up to Monday, October 29 to decide what their next actions regarding the pressing issue would be. The Andorra Chief Executive (Prime Minister), Antoni Martí, said Monday that the government needed more time to review the appeals as they all included huge volumes of documentation. The issue stems from the issuing of a casino license for the construction of a boutique integrated resort in Andorra. The Andorra Game Control Board (Consell Regulador Andorrà del Joc (CRAJ)) selected this past summer local gaming company Jocs SA as the winning bidder for the development of the gaming and entertainment property. Jocs SA had pitched an offer for the construction of a €15-million casino resort that is expected to create more than 160 new jobs and to annually attract 200,000 international visitors. The gaming and entertainment complex is also expected to generate over €90 million in an economic impact. According to analysts, the fact that Jocs was a 100% Andorra-owned company was among the main factors in it being selected as the winning bidders. The tiny nation’s gaming regulator had received as many as 13 different bids, including a €105-million offer from Genting UK, subsidiary of Malaysian gambling and hospitality giant Genting Group. The announcement about Jocs being picked as the winning bidder unleashed a wave of discontent among the other companies who had submitted offers and accusations that the bidding process had not been conducted properly. Reports have also emerged that one of the companies has accused Game Control Board Director Xavier Bardina of interfering in the selection process. What’s Next for the Andorra Casino Issue? Following the announcement that Jocs would be granted the sole casino license, five of the unsuccessful bidders filed appeals, asking for a review of the bidding process and the opening of a new such process that would be conducted in a more comprehensive and transparent manner. Genting, Cirsa, Casinos Austria, Partouche, and Barrière were the five companies to separately appeal the issuing of a gaming license to Jocs. Of these five, four (excluding Barrière) asked for annulment of the Game Control Board’s decision and the granting of the license. Jocs submitted the necessary documentation to be issued the license in July. The Andorran gambling regulator then had two months to review the company’s application. It extended the review by a month and then confirmed that it would use a second extension. The regulator can only extend the process twice, which means that once the second extension period runs out, the body could issue the casino license ahead of the government’s decision on the matter. Involved parties have expressed concerns namely to the possibility of Jocs being awarded the contended license before the government’s decision. As mentioned earlier, Andorra lawmakers have up until November 27 to review all appeals filed and to decide whether a new bidding process would be opened or Jocs would be given the go-ahead to proceed with the construction of the casino resort. The post Andorran Government Extends Review of Casino License Appeals to November 27 appeared first on Casino News Daily. A 13th-place finish in the 2005 WSOP Main Event was pivotal for Bernard Lee as it rocketed him into a successful career as a poker columnist, commentator, and player. Lee captured over the weekend his second WSOP Circuit gold ring after besting a 124-strong field in a $400 No-Limit Hold’em event at Harveys Lake Tahoe Casino, where the latest stop on the series’ calendar is currently taking place. The tournament took place over a single day and featured 20-minute levels which provided for a speedy action at the tables of the host venue. As mentioned earlier, the $400 buy-in event drew 124 entries. They created a prize pool of $40,920. The top 15 spots received a share of the money, min-cashes starting from $691. Aside from the shiny gold ring, Lee also claimed a cash prize of $11,456 for finishing first in the tournament. While Lee might have had his ups and downs over the initial stages of play, he managed to overcome the challenges and build a solid stack of 303,000 when the unofficial final table of ten was set. The player held the second largest stack at the time, topped only by Paul Miller, who had 400,000 in chips. Surviving the final table was a challenging task. Lee lost some of his momentum early into that stage of the game, but remained patient. The player said in his post-victory interview that he played for the title and that he claimed it by playing carefully, building a stack slowly but steadily. The champion eventually faced Miller heads-up. Lee began the duel as the chip leader and maintained his advantage until the very end. He applied pressure in the right spots, and it looked as if he was making the right move on every hand dealt. Miller was eventually eliminated for a cash prize of $7,082, his second one from the WSOP Circuit series. As for Lee, this was his third tournament victory in the past few months. The player took down a Rio Daily Deepstack in June and another event earlier this month. As mentioned above, he has also performed quite well in the WSOP, finishing 13th in the 2005 WSOP Main Event and scoring a runner-up finish in a bracelet event in the summer of 2017. Lee has also previously won one more gold ring from the WSOP Circuit. He told WSOP staff over the weekend that the support from his family meant the world to him. Lee had dedicated his first ring to his daughter, Maya. His second piece of WSOP Circuit jewelry, the player dedicated to his son, Noah. The post Bernard Lee Wins $400 Buy-In Event in WSOP Circuit Harveys Lake Tahoe for Second Gold Ring appeared first on Casino News Daily.